Whether you are looking to purchase a home or an investment project, there are some compelling reasons that make Tokyo a strong place to own property. Both in commercial and residential sectors, the Japanese market is one of the biggest in the world, and it sits at the center of one of the all-round biggest economies. Yet foreign participation is only a very small percentage of the total. We believe, with the strong fundamentals in place within Japan, together with a fast-growing Asia, the Tokyo market has the ability to match, or exceed other international real estate markets for owners and investors. On top of its powerful economic incentives, it offers some key attractions over rival markets. Japan itself is still third largest economy in the world, with many of its regions having larger economies than developed countries around the world. Tokyo is the world`s largest city when measured in terms of economic might and it is set to grow into the future. Despite the declining population being felt in some sectors, the underlying tax base continues to increase. 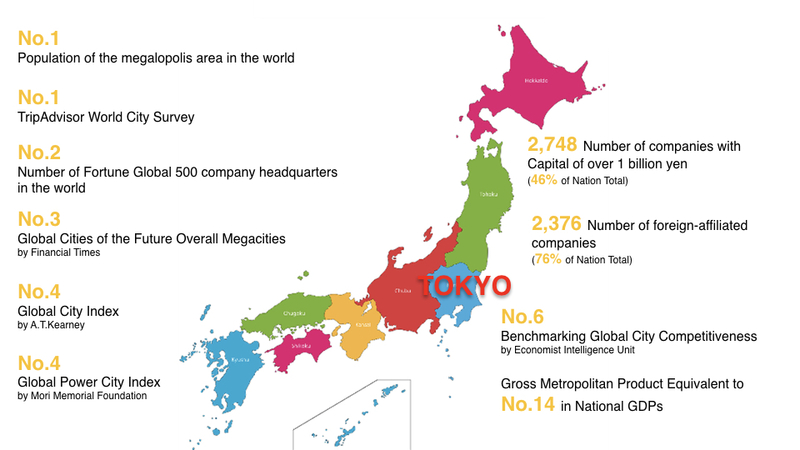 A large number of major corporations are based in Tokyo and the city continues to attract the best of Japanese and foreign businesses due to a strong rule of law, new tax environment and pleasant working standards. 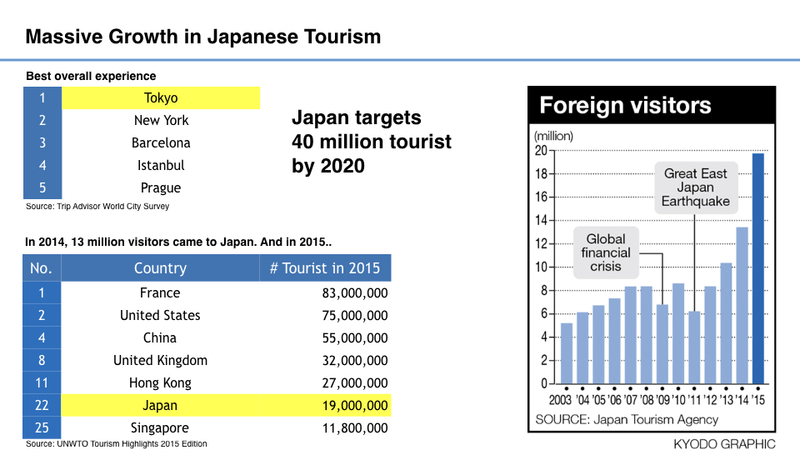 Right now, Japan tourism sector is booming, with visitor numbers rapidly growing over the previous three years and the government now targeting 40 million annual inbound tourists per annum by 2020. The country has a number of powerful attractions, including an appealing and rich culture, high quality of life, clean city scape and a strong service ethic. It is luring the growing wealthy from across Asia as well as strong numbers from Europe and America. 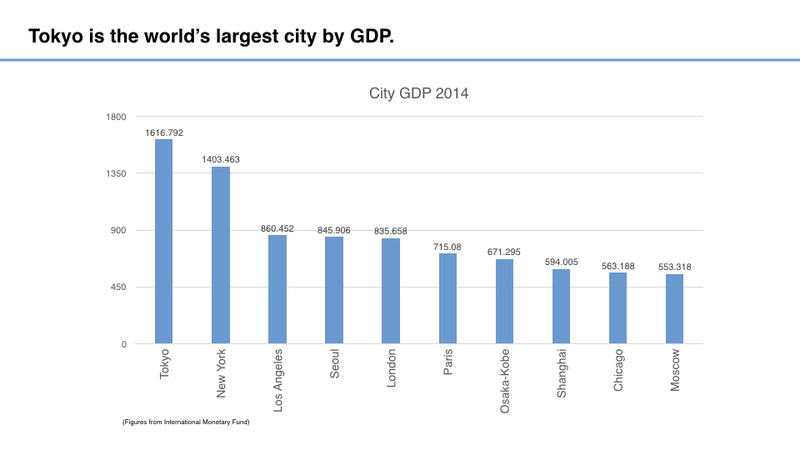 When compared to other major cities, both in Asia and around the world, Tokyo is comparatively cheap. If you factor in currency exchange, prices can start to look even more attractive. Unlike elsewhere in Asia where there are restrictions on the tenure, Japan is a freehold market and there are no restrictions on foreign property buyers. Occupancy rates are high, and an increase in local and foreign residents in Tokyo is expected as developments are focused on the city center of Tokyo. The market is stable and provides good cash-flow opportunity, especially when considered alongside low-interest rates. Competitive tax rates compared to other major markets, low-inflation and the value of the yen in the world`s currency markets mean that for tax purposes, Tokyo is also comparatively cheap. For more on Taxes, see here. As a long-term, stable economy, there is minimal government action taken over the property market, ensuring prices are set on a clear market-basis. Japan is also a safe society, with no major political demonstrations or social violence. Tokyo remains the world`s single biggest city-economy and although facing challenges, Japan`s government has taken steps to boost the profitability and earning power of the nation`s corporations while keeping up the high-quality standard expected by Japanese society. To talk with one of our property experts about the Tokyo market and investing here, please contact us in English, Chinese or Japanese.